I left home mid-morning yesterday to poke my way over to St. Augustine, but made a sharp departure from any normal route. My initial reason for that detour was to cross Payne's Prairie on US-441 to see what was up along the roadside. What was up was the visible gator population ... more on that this week, but for now, if you are in the area and want some gator photos that will make you look like a whizbang adventurer/wildlife photographer ... while still keeping all your parts attached ... you should go there. The gators are sunning on the west side of the road in some large ditches ... best light would be in the morning as the bright winter sun will be sillywetting them in the afternoon. I wish I had been there a few hours earlier, but I got a few acceptable shots. Just be careful ... don't get run over, don't feed them, and don't climb over the roadside fence with your poodle slung over your shoulders. After some gator gawking, I cruised south on 441 through Micanopy (MICK-A-NOPEY ... NOT MY - CANOPY dammit). I knew somewhere there would be a county road heading east and since I had lots of time, I trusted in the JEEP to sniff out a route. Sure enough, not only did we find an eastward road, but the brown park sign said the Rawlings homestead was down that way. ... that's right, the River Styx. Finding this in north Florida was a complete surprise to me as I always pictured Hell as being somewhere in urban south Florida, plus I really hadn't planned on crossing it quite so soon. I should have known better... Florida being Florida, even the River Styx is beautiful. This is a place I have to return to with my ... Christmas toy. After successfully crossing the River Styx, (without seeing a 3-headed dog ... dang it! ), the JEEP headed off towards Cross Creek and Marjorie's place. I crossed Cross Creek, but did not go to the Rawlings home site this trip. My goal was to make lots of quick exploratory stops on this ride, not long educational ones. From Citra, I headed easty-northy on 318 through woods and farms. This is a beautiful drive too. I love this building, donchu? This is in Citra also. If you know it's former life, let me know. I can picture a post office or even an old Coca Cola bottling plant ... but those are just guesses based on other similar designs. Someone is definitely keeping it up though and that is a good thing. Keeping the sun on my right and not worrying too much about road numbers was all it took to keep me moving in the right direction. I went by Orange Springs, and stopped to investigate the Orange Springs boat ramp. It's a small, well maintained ramp on the edge of the impounded (FREE IT!) Oklawaha River. A bunch of coots (they are coots to me, moorhenaholics) were cootscootin' around in the shallow canal that ran from the ramp to the river. Coots always make me think of my buddy Kevin who shot one once while duck hunting in Guana and left the bird in his Dad's hunting vest, behind the seat of the truck (or was it that 55 Chevy?) to ferment. Today, I may get to play with my new Christmas toy, but at some point I must become BasketBall Booster Dad and cook hamburgers for the mutltitudes of hungry basketball fans at the games tonight. Snack bar duty doncha know? If I do get to play with my new toy, I will bring you pictures. Micanopy? Pronounced mick a nopey? I think there must be an accented syllable loose somewhere in Florida. Looking forward to your spending some quality time with that new time. That was supposed to say new "toy." The third picture is soooo pretty. Hopefully, this week Elizabeth and John will get over their flu we'll be able to get out and about too. The whole area around Lochloosa is beautiful, or used to be. I don't know how much the Urbs have moved in on the area. A few years back I was staying with friends in Gainesville and mispronounced Micanopy. They got a good laugh. I've done some really nice collecting around Cross Creek before. Lovely greenery on the River Styx, it is cold and foggy in the Black Hills at the moment. Birdbath heater needed to keep open water here. Been all those places, including Payne's Praire with large numbers of grazing cattle, well before interstates. Always thought Payne's Praire would be perfect for freed zoo elephants--no steamboats on it for over a hundred years. And wildflowers in season in the area you were in, especially alongside wetlands, are superb! Last many years, at all times, I carry USGS metric topo maps and DeLorme Atlas & Gazetteers, the latter found at truck stops and usually Staples. Last time I bought county road maps from the Department of Transportion in Tallahassee, they were 35¢ each county. And It helps if you know route-numbering conventions. Anyhow, you're doing it right! Beautiful pictures. Hate to admit this but didn't know the reference to River Styx until I looked it up!! Okay...is the Christmas toy a small boat?? A lens?? Inquiring minds need to know! Hope your New Year is the best. Pronouncing some of the towns around here can be challenging. My mother butchered Reddick. Oh well. The Styx is a certified "outstanding florida water-way". Really surprised you haven't encountered it before. Boy have I fought with my brother on Mick a nopy. Even the song Seminole Wind could not convince him. We are at a stand off now. Marjorie's place is worth it if you liked The Yearling. I am in Arkansas now but you continue to make me miss Florida. Okay ... I read very carefully (I think) ... did I miss where you tell us what the Christmas toy is??? I'm assuming a camera or a new lens? Thanks (a few posts back) for the picture of the scaups. We have them in our lake. I always wondered their real name. We call them dippin' ducks --- one goes down, they ALL go down. One comes up, they all come up. Very funny ducks. Came across your blog via another and have really enjoyed it.so,WTH is your new toy?! You weren't out jogging near Paynes Prairie on Friday perchance? I ran up there (first time! )to the La Chula trail and passed someone who looked remarkably like you. Couldn't spend much time there as I was on a birding quest, but can't wait to go back and explore the area. Dear FC: I spoke of you in my blog today http://spacecoastbeachbuzz.blogspot.com/, and since it is a small world after all, I see that Caroline (who left a comment on your site) must be in South Dakota (I was born and raised in Deadwood). Loved the River Styx portion of your posting. Rotten coot. Thanks for the fond memories. I've driven most that route, mostly doing Guard stuff. It's really a nice drive. I should do it again without being in a hurry. I could have likewise sworn that Hell was located in Dade County (or possibly the Atlanta airport). gators? i keep wandering through swamps in nc trying to find the gators that everyone CLAIMS live here but they must be hiding from me... or the jeep. here gator, gator, gator! weird how they don't come when you call them, isn't it? anyway, neat pictures! i rambled too, but only because the garmin was channeling satan today. and yesterday. d*mm*t.
Those damn accented syllables ... how they do run off sometimes! I hope they are all better soon! My Katie had the flu this past week too. Not me ... FLU SHOT!!! Kissimee is the town that really gets mispronounced. Didn't the birdnerd gods do an official name change from coot to American Moorhen a few years back? I remember thinking I couldn't change in mid stride. Sorry, but anywhere north of Daytona is north Florida. Northeast is the coast, Northwest is the coast up to the App River. That's my personal boundary markings. I do love the DeLorme book too. I was there a long time ago, part of the reason I didn't mind skipping it this day. Glad you can get your Florida fix here!! I'm thinking Wednesday's post will spill the beans. I don't jog unless I'm out of ammo. I think I am a very common model. I was only along the highway that day. Thanks! I must go see what you said now mustnt I? Thanks again and I have added you to my bloglist of superior sites. Well, somethings must be passed along. It's a toss up between those two places. I sure saw some huge ones in South Carolina. Checked American Ornithologists Union "official" listing of species...at least as of today, anyway. They do have a way of changing names of creatures on a frustratingly regular basis. Blame DNA testing. Moorhens range basically east of Mississippi and south, coots are continent wide. Coots distinguished by white bill, moorhens have red bill and forehead. For confusion, throw in some of your beautiful Purple Gallinules, all cousins. I noticed the movie Cross Creek on the channel guide yesterday. I think I saw that movie back in the 80's when it first came out, so I probably wouldn't have taken much notice of it if I hadn't just read your post. But your reference to River Styx made me curious. And I ended up watching it...TWICE! Now I've got loads of new questions which will undoubtedly translate into yet another Amazon order (that's where curiosity usually leads me), but that's okay. I just LOVE the way one thing leads to another with blogs...connecting people, ideas, information where just seconds prior no connection existed. AMAZING! Thanks for your part in that!!! I think we need a picture of the picture thing, just so we can get the picture, tease. Mickanopey- why don't they just spell it that way? I'm here (well, in the vicinity, but not at all close to hell)and yesterday I planted- ta-da! some datil pepper seeds in the earth box. But I'm worried they might not be dry enough. We shall see. And have a very very happy new year, FC. In my defense, I did say "urban south Florida". There's still great south FL beauty left in the protected parks, preserves, and ranches. No, go now and take them along! I think hunting with Kevin and Greer was mostly walking, talking about girls, and shooting trees, etc. The only time I ever killed anything decent I was by myself. ... did call Kevin to come help clean that hog though. Thanks! I'm not a serious birder ... obviously, but somewhere I got it in my head that they had changed the coots name and it stuck. It is truly amazing how the blogging connections work. I know what you mean. Have you watched "The Yearling"? It's an oldie, but a goodie. You are my favorite snowbird. Glad to have you back and I hope you're datils do well. I was just thinking the other day that it is time for me to start my datils. How are your coontie babies? Here's some info on that building. 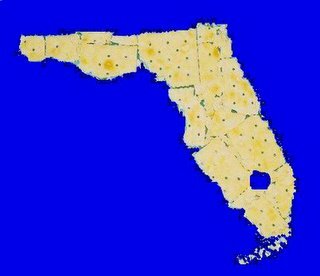 I'm with you on North Florida boundaries. You got it! Mic-an-opee, named after the Seminole chief. Additionally, if anyone is interested in learning more about the wildlife and history in the area around the River Styx, Alachua County Road 225 has been designated a "Scenic Road Destination" and has a little phone tour you can listen to. 225 is one of the little side roads you passed traveling from Micanopy to Cross Creek. The road you were on was County Road 346. If you're interested, you can dial (352)327-9005 to access the audio tour, #350-#359 will tell you all about that piece of North Central Florida. Along with the audio tour, 225 has point of interest, the small historical town of Evinston. This town was established in the late 1800s and has a few historical landmarks from that period, for anyone interested. Some of the local, Gainesville denizens mostly, painters get together for an annual "Paint Off" in Evinston as it's a very pretty, quaint little town with rolling cow pastures, woods and scrub brush all the way from the shores of Orange Lake back to 441. If you do decide to take a trip there, feel free to stop at the old Post Office. If you have some time to spare, I'm sure they would be more than happy to tell you ALL about the history of the town. Believe the old bldg in Citra was once a jail. Was in I'll repair for years before it was restored. It was a bank, the vault is in the back. In its later years it became the post office. It is now being restored as a museum to the citrus industry that was once very important (hence the name Citra) to the area. I have pictures of the inside, it has a very beautiful and ornate original floor.